Cheap Elopement Packages | Elopements In Georgia | Elopements in Ga.
We specialize in cheap elopement packages and small – intimate elopements in Georgia. 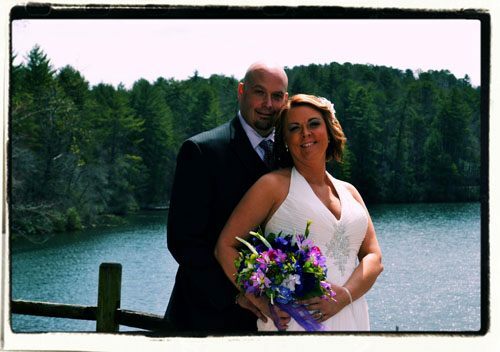 You can count on us to make your elopement easy, stress free, and most of all affordable. That’s what we do every day of the year! You have come to the right place if you are looking for cheap elopement packages! The least expensive option for your Elopement is to have Rev. Rick marry you at a location of your choosing. His rate to conduct a ceremony starts at $195. Copyright release for your photos. This budget friendly package is designed for elopements. It includes Rev. Rick Durham traveling to your location with his wife Cyndi. Rick will officiate your ceremony while Cyndi coordinates your mini-reception and takes photos. .
Travel to/from your Cabin, Vacation Rental, B&B, Venue, or private home within 60 miles of Dahlonega, GA.
Ordained Officiate for your ceremony. At least 100 digital images with copyright release so you can make your own prints. Is it Ok for us to TEXT You Prices and Info? Please call! I have questions! Family-owned full service wedding venue in Dahlonega!